Rear Admiral (retired) James Basil Godwin Ill transitioned from the United States Navy in 2006 after 33 years of service, which included extensive experience in critical program and fiscal management, systems integration, problem solving and successful program delivery in the Defense domain. Rear Admiral Godwin is a decorated Naval Aviator with fleet assignments in both the A-7 Corsair II and the F/A-18 Hornet with more than 4500 flight hours embarked in numerous Carrier Air Wings and Carrier Strike Groups. He joined PricewaterhouseCoopers in Oct 2014. He served as the Senior Vice President for Naval and Maritime programs with Burdeshaw Associates in Bethesda, MD from April to October 2014. He is Founder and President of BriteWerx, Inc., a Service Disabled Veteran Owned Small Business (SDVOSB) providing consulting services in the Aerospace, Information Technology, Cyber and Disruptive Technology Development Fields. He is currently working with 3 other small business owners in starting up their businesses and fielding their disruptive Cyber, Electronic and voice, video and data compression technologies. From 2006 to 2012, he held vice president positions within the defense industry, including Athena Technologies (now Rockwell Collins), Dynamic Analytics & Test, and Northrop Grumman Information Systems. During this time he was the cyber security lead for the Defense Systems and Defense Technology Divisions within the Northrop Grumman Information Systems Sector responsible for emerging cyber technology development and systems integration of product offerings. In addition he was responsible for horizontally integrating products, which required multi-faceted hardware, software and security solutions, as well, he was responsible for introducing a cutting edge HD video compression technology. From 2004-2006, RADM (R) Godwin served as the Direct Reporting Program Manager, Navy Marine Corps Intranet (NMCI} and then as the first Program Executive Officer, Enterprise Information Systems (PEO(EIS)). In this capacity he managed the largest IT services contract in the world with expenditures exceeding $1.4 billion per year. He is credited with building a fully functioning teaming relationship between the Navy and the Systems Integrator within 18 months while significantly improving product delivery, annual Service level Agreements and customer satisfaction metrics. Moving on to stand up the PEO(EIS) organization, RADM (R) Godwin reorganized 5 major programs into an industry representative Navy wide business enterprise within 6 months while managing budget authority at $3.3 billion per year. From 2000-2004 he served as the Program Executive Officer, Tactical Aircraft and was responsible for budgets of $5.5 billion per year across 8 major defense acquisition programs. He achieved on-cost, on-schedule and on-performance delivery of the F/A-18 E/F for the first combat deployment in 2003. He chaired an international 5 nation steering committee responsible for U.S. and European development and integration of the Multi-functional Information Distribution System (MIDS), leading to a stable production base and program initiation for MIDS-JTR. RADM (R) Godwin is a founding member of the Navy Integrated Fire Control -Counter Air (NIFCA), Open Architecture (OA), Cooperative Engagement Capability (CEC) and Network Centric Enterprise. From 1997-2000, Rear Admiral Godwin served as the F/A-18 Program Manager responsible for the design, development, flight test, production, and I ife-cycle support of the F / A-18 A/B/C/0/E/F Fleet. In addition to these aircraft, he was also responsible for the Advanced Targeting FLIR, AESA Radar, SHARP reconnaissance pod, Joint Helmet mounted cuing system, and weapons system integration of the AIM-9X, JDAM and JSOW onto the F/A-18 family of aircraft. embarked in USS Midway (CV-41) and USS Independence (CV-62). As a combat veteran during his command tour he amassed 34 Desert Storm missions. After detaching from VFA-192, he reported to the Naval Air Systems Command (NAVAIR) where he began his career in Navy acquisition. 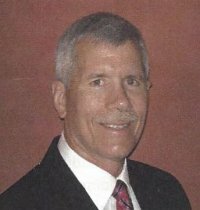 During his tenure at NAVAIR he served in the F/A-18 program as Lead Systems Engineer, Deputy Program Manager and then as the Program Manager responsible for platform integration including design, development, production delivery through testing and fielding of the $4.88 billion F/A-18 E/F Super Hornet program.